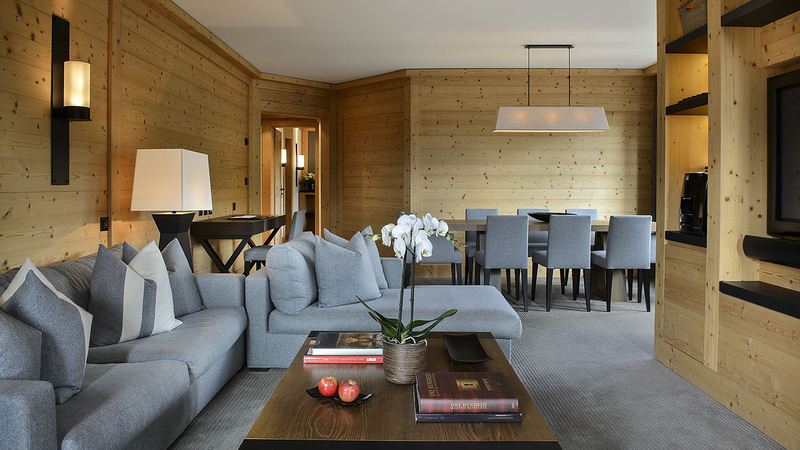 Facing the majestic Wispile and the Diablerets Glacier, these spacious, modern and peaceful suites are designed with natural materials such as wool, leather and cashmere for that authentic chalet feel.. The luxurious finishings include products of Aromatherapy and essential oils for relaxation and stress relief. The bathrooms are styled in elegant black granite, all are fitted a stand-alone bath, a separate shower and twin basins.